Al Hooper lost track of the number of newspapers he’d worked for when the total reached 12. Among his ports of call were Seattle, Yakima and Bremerton in Washington, and three different dailies in Vancouver, B.C. In recent times Hooper has focused on his novels, which reveal the perils and consequences faced by a trouble-shooting newspaper columnist in this and every other era. His Adam Cole novels include Flynn’s Last Stand, vividly keyed to five fateful days in the life of screen legend Errol Flynn; and Cole’s Last Chance, a sequel set amid the maelstrom and homefront violence of the 1960s anti-war movement. The latest entry is One Last Shot (2018). A retreat to a small town in Central Washington turns out to be anything but a safe haven for Adam Cole. The following faux interview provides answers to questions he wishes he had asked himself. QUESTION: How do you find time to write? Q: Is your workday structured? A: Strictly. I shoot for four hours a day divided into two shifts. Naps are optional. Q: Do you warm up before you begin? A: That’s why God created Starbucks. Q: Who do you like among modern authors? A: Mostly me. I seem to be the only one now working who can tell a story in under 500 pages. Q: You don’t like overlong novels? A: Does anybody? Except for publishers, of course. They can charge more for the long ones. They still hope to find a way to to sell those tedious tomes by the pound. 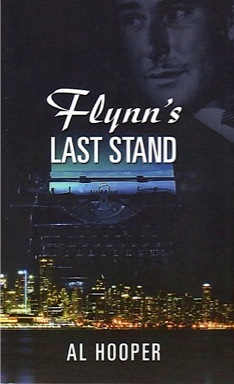 Q: Your novels Flynn’s Last Stand and its sequel, Cole’s Last Chance, provide a fascinating insight into the heyday of a metropolitan newspaper chasing the big story. You’re a veteran of that scene. Was it really that much fun? A: Put it this way. There were no dull days. Or if there were, you forgot about them over a beer. Q: Ever want to go back to that life? A: I like it better where I am. I wallow in whatever novel I’m working on. I believe in the story and in the people living the story. I admit that some of them remind me of me, but with fewer character flaws. Q: Your novels all have a gripping suspense component. Is the (quote) crime thriller (unquote) your favorite fictional form? A: Absolutely. It’s the one genre that guarantees a real story. You get motivation and commitment, and a minimum of navel gazing. A good novel is a shared experience between the reader and writer. If it’s written well enough, it can be a life-changer. Q: What’s the theme of the novel you’re working on now? A: When did you stop beating your Schnauzer? Q: Does that mean you’re averse to talking about a book in progress? A: I’m averse. Sorry to sound like every other writer who ever lived. Q: Don’t you think that’s just a shade paranoid? A: I hope so. There are two kinds of people in the world: readers and non-readers. Readers can hold your attention for hours. Non-readers have you checking your watch after three minutes. The trick for a writer is to save his best stuff for the reader. Q: Any other advice for beginning writers? A: Be direct, clear, concise. Avoid commas. Commas are the devil’s spawn. They give readers hiccups. So do the long-winded sentences that breed them. One more thing: Keep your GPS tuned to the nearest Starbucks. Q: Is Starbucks paying you for this endorsement? A: No. But I like the idea. Is there someone I can call? Q: What’s the best writing advice you’ve ever received? Q: Final question, then. What’s your choice of writing accessory? A Mac or a PC? A: A quill pen. Except when my cat steps in the inkwell. I chalk it up to overhead. A: Keep in touch. I may think of another question I wish you’d asked me. All books listed on this website can be purchased through Amazon.com and Kindle and other major booksellers. Two of the novels, Hidden Valley and Martial Law in Yakima, may also be ordered from Authorhouse.com. Adam Cole, the self-acknowledged journalism relic who gets himself into harm’s way with pen and gun and heart, is at it again. Or should I say Al Hooper is at it again, creating his third Adam Cole crime novel that can’t be put down. I know it takes time to write novels (it’s been about two years since the last?) and I know Hooper has to take time out to eat, but I could binge on Adam Cole until my house fell down around me. The bad guys serve up vivid murder and assaults, but this book is not just about human carnage. There are things to be learned about the Vietnam War, Leyte Island in 1944, spousal abuse, drug cartels, migrant workers, martial artist Bruce Lee’s philosophy, the death knell for newspapers. This may sound like a hodgepodge but every subject has a reason for being there. Adam Cole is a muckraking columnist at a community newspaper in Yakima, Washington, banished there because of layoffs and newspaper closings. The paper is called the Yakima Epitaph, brilliant for sure given the ongoing gutting of newspapers. He captures perfectly the 1970s, a time when greedy corporations and self-serving politicians are just beginning their worst assault on the Fourth Estate. The Epitaph publisher keeps a revolver in his desk not to save himself from his small staff, but from more vengeful characters. As the plot thickens, Cole makes good use of the as well as moves learned at the feet of Lee. His columns enrage strike-busting fruit growers as well as a mega cartel distributing cocaine. And while most authors might lazily write that a guy got a beer out of the refrigerator, Hooper puts it this way: “I liberated a Labatt’s from the refrigerator.” That kind of attention to even inconsequential lines, and conversations about a variety of important subjects (still very timely today) take the mystery genre where other authors don’t often go. Longtime fans of the Adam Cole books will be heartened to hear that Cole’s love interest Amy Constantine is still in the picture and the romance is problematic for reasons I won’t reveal here. And his friend with the memorable name, Whipper Billy Walker, still has Cole’s back even from hundreds of miles away. Hooper’s other novels in the Adam Cole series are “Flynn’s Last Stand” (screen heartthrob Errol Flynn is being extorted); and “Cole’s Last Chance” (where Vietnam war protesters who flee to Canada become targets). Me, I’m already waiting for number four. And while I wait I think I will have some fun and read them all again. I might know where the stories are going this time around, but the writing captivates anew. Reviewed by freelance journalist Ed Stover in the Yakima Herald-Republic, July 25, 2018. YAKIMA, Wash. -- It’s Monday, Aug. 6, 1973, and Adam Cole, an over-the-hill, between-jobs newspaper reporter driving an aging Plymouth Belvedere has just arrived in Yakima to consider an offer at a struggling twice-weekly newspaper called the Yakima Epitaph. Uh-oh! thinks Cole, the protagonist of “One Last Shot,” Al Hooper’s latest crime-mystery novel. Jesus, I thought. I’ve wasted another day of my life. For a minute or two I sat at the wheel. ... It was a hundred degrees out there, or close to it. I wore the lightest short-sleeved shirt I owned and it stuck to me like duct tape. Despite my prescription sunglasses, I had acquired an indelible squint after crossing the Cascade mountain range and descending into the valley. Then I wondered why I wondered. When I walked in, she stood up and came around the desk, greeting me with a warm smile. Very pretty lady. Red-blonde hair, green eyes. In her 40s probably, but with the kind of bone structure that keeps a good-looking woman good looking for life. Cole learns from Sharon that Epitaph publisher Jason Howard, the man who hired him, is in Yakima Valley Memorial Hospital after being beaten to a pulp by assailants unknown. Sharon’s explanation: The Epitaph’s editorial stance supporting the United Farm Workers union has provoked a violent response from local farmers. Cole soon has his own violent encounter with a local farmer, an obnoxious redneck named Bronco Benny Cleve. Then there is a murder, followed by more rough stuff where we learn that Cole, a decorated World War II veteran, is more than adept in the martial arts. Then there is another murder, plus we meet a couple of professional hit men whose interests have nothing to do with farm labor, but everything to do with the Sinaloa drug cartel. In other words, Hooper has served up a page-turner. And readers familiar with the Yakima Valley (particularly those who were around in the 1970s) are going to relish the local references: the old Chinook Hotel, Sambo’s (now Mel’s Diner), various street names and actual historical events; i.e. Cesar Chavez and the UFW marches. The notorious 1975 Gabby Moore/Morris Blankenbaker/Angelo Pleasant murder scandal, made famous in Ann Rule’s book “A Fever in the Heart,” is also used to good effect. What Hooper has done is what good writers do — write about what he knows. Now 88 and living in the Seattle area, he’s a retired journalist who came to Yakima in 1965 to work at what was then the Yakima Morning Herald, owned by the Robertson family. When he left in 1975, he was managing editor. By that time, the paper had been sold to a chain and he was managing editor of what is now the Herald-Republic. His wife of 48 years is the former June Meyn of Yakima. Like Cole, Hooper was an itinerant newsman who worked on newspapers large and small throughout the Northwest, including British Columbia. When he began, reporters and editors were using typewriters. He experienced the transition from “hot lead” to “cold type,” and by the time he’d retired in 2005 the newspaper industry had entered the digital age. Like Cole, Hooper also knows something about the martial arts. He holds a black belt in karate and studied under the late Yakima karate master Morris Mack, who died in August. So when Cole uses his martial arts skills to deal with the bad guys, there is the ring of authenticity in Cole’s every move. “One Last Shot” is the third novel in a mystery series featuring Cole. The first two entries are “Flynn’s Last Stand” and “Cole’s Last Chance.” So how much of Adam Cole is really Al Hooper? Did Yakima grow on Al Hooper the way it does on Adam Cole? 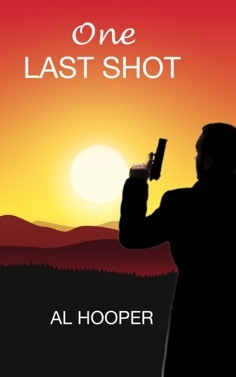 Nevertheless, “One Last Shot” is still a crime novel: “Adam Cole’s mental floundering is incidental to the developments that erupt around him,” says Hooper. In the novel, the so-called “Yakima Republic” takes more than a few hits. Cole, Miller, Howard and others on the Epitaph staff are derisive about the fictional daily newspaper. Do their views reflect Hooper’s own experience when he worked at the real-life Herald-Republic? Hooper has written two other novels set in Yakima. 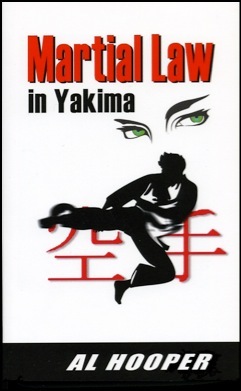 One is “Martial Law in Yakima,” an adult mystery. 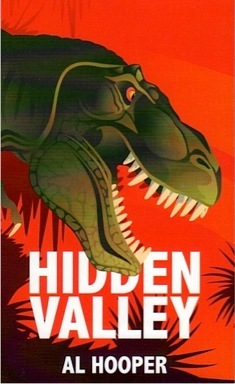 The other is “Hidden Valley,” which Hooper describes as a “dinosaur-centric” novel for kids 9 to 90. “So it’s fairly obvious that Yakima has never left me, or me Yakima,” he says. • Ed Stover is a retired newspaper journalist who lives in Yakima with his wife, Lynn. These days, he hikes, writes and tries to keep track of his kids and grandkids. • “One Last Shot: An Adam Cole Novel” by Al Hooper, is available from Amazon.com and other major retailers. It costs $9.99 in paperback and $4.99 for the Kindle edition. Fans of crime novels appreciate writers who understand the power of character, place and plot, and are able to mix the right proportions of those ingredients when cooking up a page-turner. Readers will discover a tasty recipe in “Cole’s Last Chance,” the latest offering from local novelist Al Hooper. Hooper, well-known to long-time Beacon readers as a former editor, has not allowed his command of the written word to go fallow since exiting his regular newspaper gig. Instead, he has turned his obvious love of crime novels and journalism into a new outlet for his well-honed ability to write crisp, active verse that keeps readers engaged and eager for more. “Cole’s Last Chance,” a sequel to Hooper’s 2012 novel “Flynn’s Last Stand,” features journalist Adam Cole who thinks, talks and writes like a scribe who knows his craft and has that newspaperman’s eye for the story behind the story. If readers don’t know Hooper’s background, they might suspect he had some ink running through his veins. 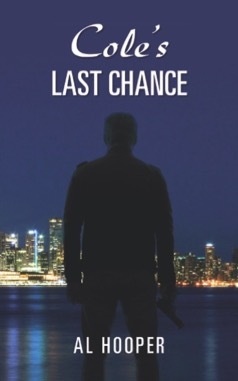 “Last Chance” takes place – where else? – in the Great Northwest, in this case Vancouver, B.C., during the turbulent Vietnam War era when some of America’s young men said a very loud “No!” to military service, and instead escaped to Canada where they often remained active in the anti-war cause. Cole is an American exile who owns a one-man, barely-breathing business as an “editorial consultant” (Hooper calls it “code for unemployed journalists”), while also picking up a few bucks as a columnist for an alternative newspaper, the Vancouver Underground. The story begins when a pair of suspect characters walk into Cole’s office, looking for help in locating Jed Harris, an American draft dodger who has been a leading voice in the anti-war movement. Of course they aren’t who they claim to be. It takes most of the book to figure out who they really are, as well as other characters Hooper introduces while the plot thickens, along with plot twists, a romantic interest, a side story (or is it?) involving Cole’s work with martial arts great Bruce Lee and, of course, as the bodies begin to pile up. Hooper proves adept at some of the best traits of good mystery writers: Like Dashiell Hammett, Hooper’s prose is unsentimental and journalistic, with moral judgments left to the reader; his character, Adam Cole, is tough but honest and a little bit sentimental, like Raymond Chandler’s famous detective, Philip Marlowe; and like author Tony Hillerman, who also utilized a journalism background to craft gripping crime novels, Hooper is deft at painting scenes that give structure to his unfolding story. There’s a little of Charles Dickens or J.K. Rowling in Hooper’s work too, with character names like Whipper Billy Walker, an aging pro wrestler, and Detective Calderon, a mean and dirty cop. Clever names, taut prose, character development and scene setting aside, it’s plot that keeps readers turning the page, and Hooper delivers. All of Hooper’s novels are available through Amazon.com and Kindle and other major booksellers. His website, which lists and describes the novels as well as imparting his singular views on writing, is e-hooper.com. I’ve just spent a delightful seven days with Adam Cole. By the end of Page 1, I knew I was once again in the hands of a great writer, transported to another time and another world. I’m hoping that this is Book 2 in an Adam Cole trilogy! Adam Cole has a way of getting into nail-biting, life and death situations with reprehensible individuals. Possibly because of his years of martial arts training with Bruce Lee and his one-step-ahead-of-you friend, Whipper Billy, Adam felt confident enough to take a walk in the dark in Stanley Park one night with a couple of thugs. The story takes place in beautiful Vancouver, Canada in 1967 while the Vietnam War was going on. I learned more about the Vietnam War, Bruce Lee, Steve McQueen and the newspaper business than I ever knew. There was a great combination between non-fictional and fictional characters to make the story so believable that I went to Bruce Lee’s grave site at Lake View Cemetery to see it for myself. Reconnecting with Adam’s former co-workers from the defunct Vancouver News-Herald was fun too, tying up loose ends from the preceding book, “Flynn’s Last Stand.” This is another great read with excellent research done on Errol Flynn’s sad life. I look forward to the next installment of the further adventures and love life of Adam Cole. I’m wondering if Adam and Jason will be husbands-in-law a second time around? I’d like to meet up with Adam and Amy to discuss future wedding plans! By the way, how large did Herman the Bengal cat get, anyway? I finished Cole’s Last Chance very quickly, couldn’t put it down. Such a great read! I was intrigued by the sections about Bruce Lee, and couldn’t help but wonder if the author knew or had studied with him. Lee is an interesting character in the book, although Adam Cole is the most interesting as usual. Wow! Just came up for air after reading Flynn’s Last Stand and Cole’s Last Chance. Loved the writing, loved the plots – weaving together Vietnam and Bruce Lee and Gung fu; and Errol Flynn and newspapering, bad cops and romance and never knowing what’s going to happen next. I loved Whipper Billy (even the name) and Black Cloud and the other newspaper characters right out of a real newsroom. All such believable characters. The sense of the era is great … all those songs and products (Smoke Gets in Your Eyes by The Platters is still my all-time favorite). Bright dialogue, great humor, and all the droll and ironic asides (“Some questions answer themselves. Does a housecat pee indoors?”) Herman the cat was a nice touch. I was a bit weepy at the end of Cole’s Last Chance when Adam went to visit Bruce Lee’s grave. What a great scene. And I didn’t know about the circumstances of Errol Flynn’s death until reading Flynn’s Last Chance. Aside from the pleasure of the writing, I learned a lot I didn’t know before.